This page contains information on the optimum sowing windows to maximise grain yield of canola, for 24 locations, three soil types and three canola cultivars, obtained from the APSIM-Canola model and 41 years of local climate data. For each location studied there is a graph with the risk profile for canola yields according to time of sowing. Early sowing is the key to maximising canola yield in Western Australia. Maximum canola yields are achieved with April sowing in low and medium rainfall zones and with April and May sowing in high rainfall zones. Some level of frost risk is unavoidable to achieve maximum yields, depending on location. If sowing opportunity is late, assess the risk of not achieving an acceptable yield. In the last decade there has been a trend towards earlier sowing of canola by Western Australian growers. Sowing canola in mid-April has become standard practice in most of the WA cropping zone. Yield declines with sowing date, ranging from 5-12% per week delay in sowing, have been found in several Australian studies (Farre et al., 2002). However, there is little experimental data on very early sowings before mid-April. A computer modelling study was designed to establish the optimum sowing window to maximise grain yield accounting for frost and heat stress for different locations in WA. The simulation of the effects of frost and heat on yield is still being refined. The optimum sowing windows to maximise grain yield of canola, for 12 locations, three soil types and three canola cultivars were obtained from a computer simulation analysis using the APSIM-Canola model (Table 1). Yields were simulated for the period 1976-2016 using 41 years of local rainfall and temperature data with our best estimates for the yield penalty due to frost and heat around flowering. The soil types were sand (light soil), duplex and clay (heavy soil) with values of plant available water holding capacity of 57, 90 and 135mm, respectively. 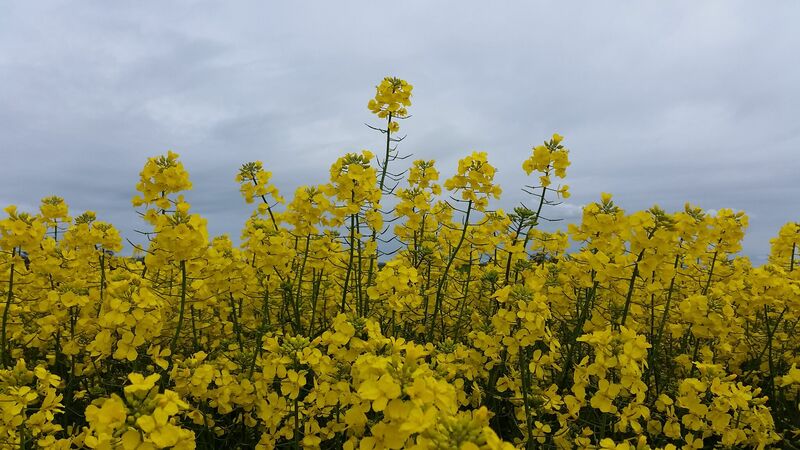 The canola cultivars were long (Hyola 650TT), medium (ATR Bonito) and short (Stingray) season maturity. The simulations were set with 10mm irrigation at sowing to ensure crop germinated immediately. Crop emergence was around 10 days after sowing, depending on sowing depth and temperature. Dry sowing, with an uncertain time period between sowing and emergence, is not considered here. The optimum sowing window for each location and cultivar was defined as the sowing period when the average yield for the 41 years simulated is within 95% of the maximum yield. As expected, simulated yields vary greatly from year to year and therefore, in some years, high yields could be achieved with sowing outside of the suggested sowing window. As a rule of thumb, in low and medium rainfall locations, the optimum sowing period for a medium maturity cultivar is April and in the high rainfall locations the optimum sowing window spans from early April to mid or late May, depending on location and soil type. Sowing windows in Table 1 are the average of the three soil types studied. In general, light soils have earlier optimum sowing windows than heavy soils (about one week earlier). Also the duration of the optimum sowing window is about a week shorter in light soils than in heavy soils. Figure 1 presents the simulated long term yield with different sowing dates for ATR Bonito at 12 locations. Simulated yields are the water-limited potential yields, that is, the potential yields that could be achieved based on the climate, including our current estimates of frost and heat impacts on yield, but without including pest or diseases. Yields should be similar to a well-managed trial.